Thinking of adding an employee but not sure how to handle the day to day administrative issues related to pay and insurance? Employees are a responsibility for any business. When you take one on, they may be there to make you money, but in return you have an obligation to treat them right. As a result there are a variety of administrative and bureaucratic rules to help make sure things go smoothly. 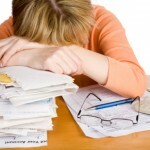 One option to consider to avoid this extra burden is to hire a reputable payroll services. On time payment and record keeping: While it may seem obvious, small business owners often forget that their employees expect to be paid on a regular schedule and may not care that the boss is on vacation and hasn’t gotten around to writing out the checks. Services handle this for their customers automatically and will mail out checks or make the appropriate online deposits upon request. Withholding: One major issue overlooked by many businesses is their obligation to withhold taxes and to pay them into the government. Miscalculating these fees, or worse, withholding them and using them for other business purposes is a huge problem. A common statistic is that one in three businesses are penalized for missing tax deadlines. Additionally, If you have employees, you also have an obligation to send annual statements to both the employee and the government about wages paid and taxes. By having a service handle this, the risk of common errors is greatly reduced, thereby lowering the employers potential to make costly legal errors. Signage: If you have workers, you are most likely required to post signage at your work place advising your employees of their rights under the law regarding things like overtime pay and worker compensation. Failure to display proper signage is a common error for employers and can lead to fines. Most services will provide you with appropriate signage and can be a resource for understanding what may required of you. By no means is this an exhaustive list of your payroll obligations, but they do demonstrate that these tasks sometime take you away from doing core parts of your business. For a relatively low fee, many services will perform these services for you, as well as many other parts of the hiring process, thus putting this highly bureaucratic process into the hands of people that handle it on a day to day basis and can handle it far more efficiently than you might be able to. When evaluating services consider their experience level, their ease of use, the scope of their services, and their fees.